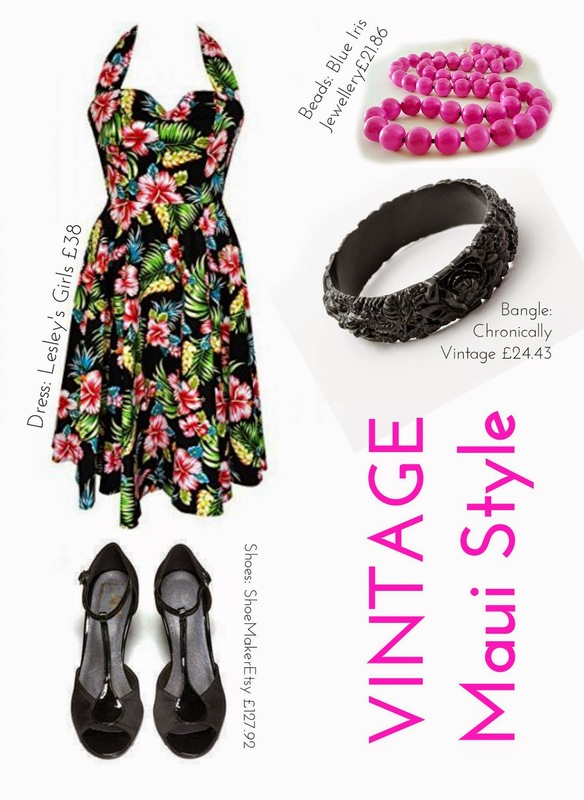 In stock we are selling this fantastic Maui dress by Hell Bunny, it comes in size xs-xl and costs just £38. Click here to see how to buy this dress now or pop in to GO4 Market Cafe to try one on for size. What do you think of our styling suggestion for this little beauty? We stuck to staples black with splash of colour to accent the pink in the dress.